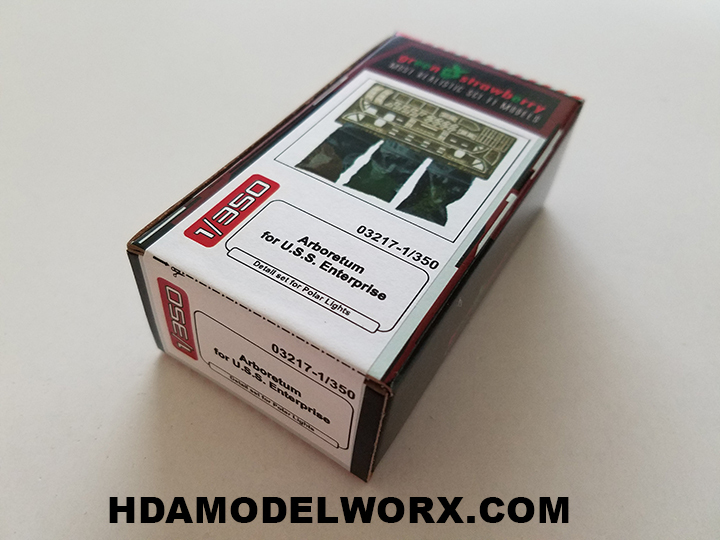 Home > Photoetch > Arboretum Photoetch and Detail set for the USS ENTERPRISE REFIT 1:350 Scale Model Kit by GREEN STRAWBERRY NEW PRODUCT! 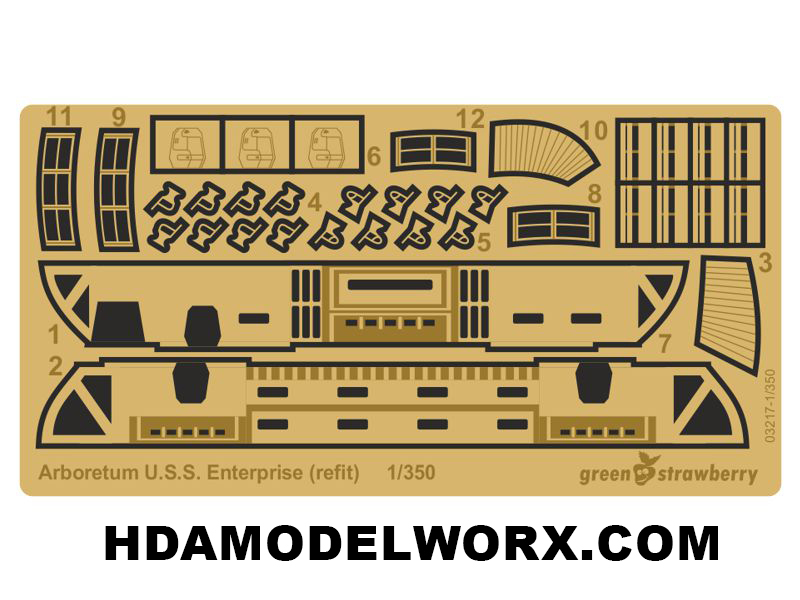 Arboretum Photoetch and Detail set for the USS ENTERPRISE REFIT 1:350 Scale Model Kit by GREEN STRAWBERRY NEW PRODUCT! Set contains photoetch and landscaping details for the USS ENTERPRISE REFIT/A 1:350 Scale Model Kit! NEW PRODUCT! 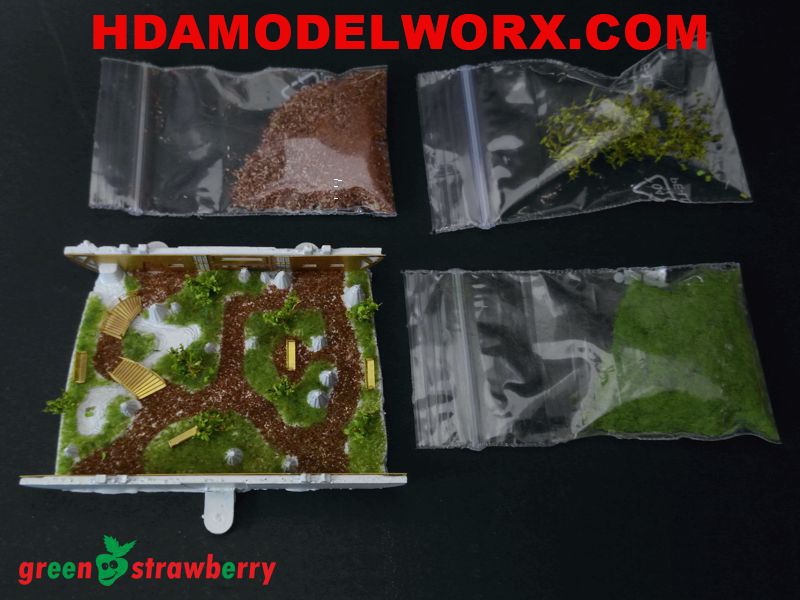 With this photoetch and detail set you no long need to purchase separate landscaping materials with three packs of materials to highly detail your Arboretum! Side walls, bridges for water feature with railings and more! HDAmodelworx has a decal set for this photoetch set available. Now get all the details without the painting. See below under related items. 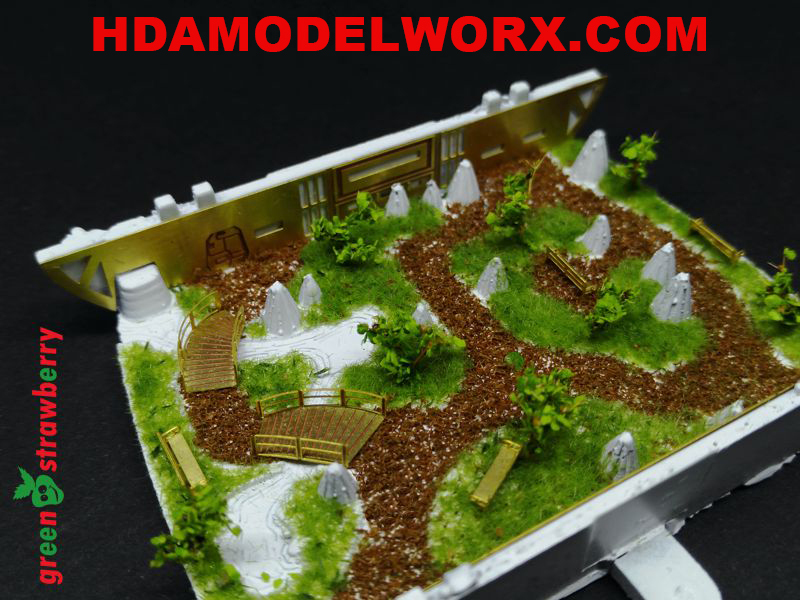 Copyright HDAmodelworx. All Rights Reserved. eCommerce Software by 3dcart.